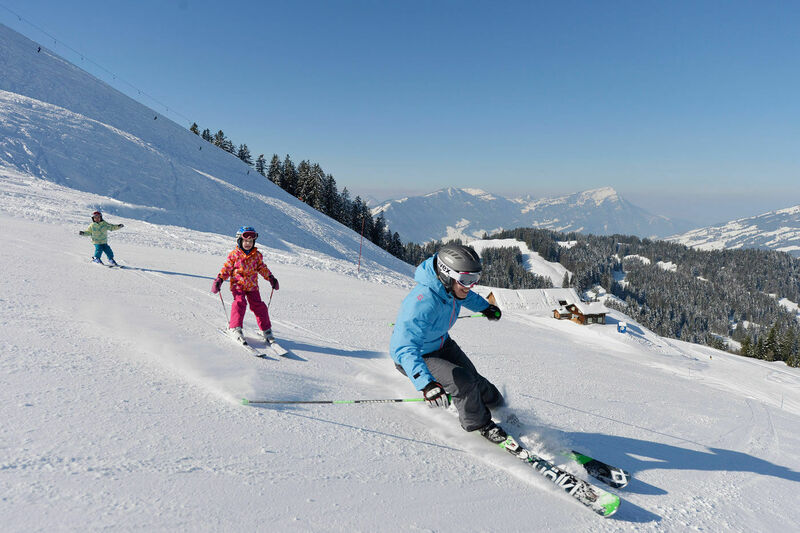 We offer skiers and snowboarders 14 kilometres of varied slopes from 800 to 1,600 metres above sea level. 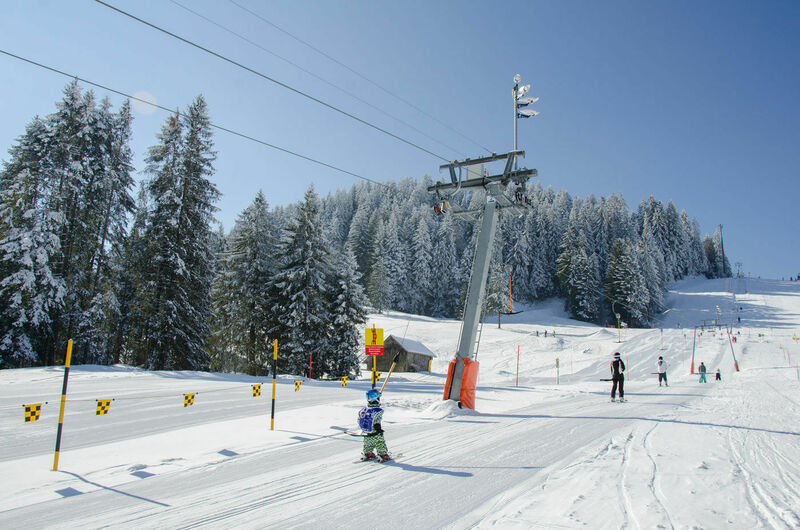 The slopes are perfectly suitable for families, beginners, refreshers or for a spontaneous day out with short travel times. Rondos Kinderland, the children's world, has it all to help children to master the basics of these popular winter sports. That includes a beginner’s lift, magic carpets and funny characters. Courses can be booked at the ski school. Parents appreciate the ease of surveillance and orientation of our terrain. They can let their youngsters do a few runs on their own while they relax over a cup of coffee on the sunlit terrace and watch them having fun. Our central location makes even a half-day visit worthwhile. You will reach us in just 30 minutes from Zug, for instance, or 45 minutes from Zurich. The ski day passes are also valid for the 3.5-kilometre winter toboggan run. *If a parent buys a day pass, the kids (6-16 years) travel for CHF 19 each, instead of CHF 26 each. * return trip with Engelstock ski lift and revolving gondola possible until 14:00 h.
All day passes include ad-mission to Rondos Kinderland. The ski day tickets are also valid for the use of the toboggan run and the revolving gondola. Reduced children's rates apply from 6th to 16th birthday. CURRENT: In case of partial ski operation the day tickets are offered at a reduced price. Residents of our partner communities (Baar, Oberägeri, Sattel, Steinen, Steinerberg, Unterägeri) benefit from special prices. NEW: The season ticket include the night tobboganing every Saturday. We are part of the Swiss Knife Valley network - 7 ski resorts with 40 transport facilities. 13 ski resorts - 1 subscription. Over 500 kilometres of pure snow fun in Central Switzerland. The largest tariff association in the foothills of the Alps enables you to have fun on the slopes in 4 countries and we are part of it. All tickets of the fare associations are available from us.